Complete applying two valley-folds of the step #13. 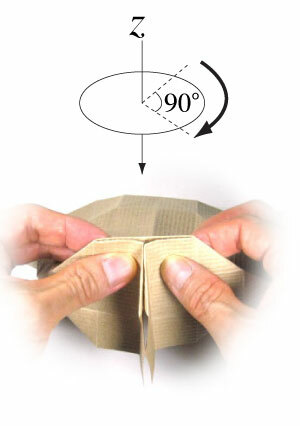 Prepare to rotate the origami table model by 90 degrees. 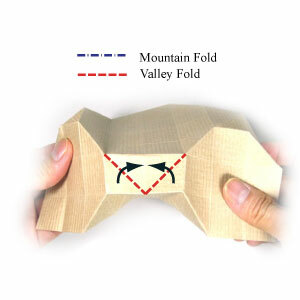 Rotate the origami table model by 90 degrees. Prepare to apply two valley-folds.